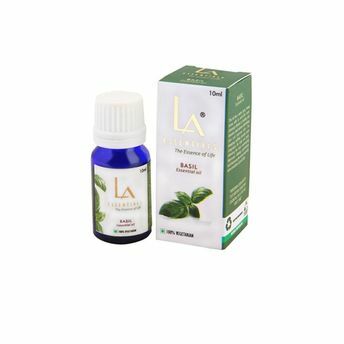 Basil oil is obtained through hydro distillation from fresh plant material from Ocimum Basillicum. It has an invigorating effect that is very beneficial for sluggish skin & pepping up circulation. Known for its medicinal properties, this oil is considered an excellent tonic for the treatment of nervous disorders and stress related headaches, migraines and allergies. It helps to clear the mind and is beneficial in relieving intellectual fatigue, while giving clarity and mental strength. This essential oil helps in relieving gout by minimizing uric acid in the blood. It is used for inhalation, in baths and for massages. When combined with other oils like Thyme, it also acts as powerful antiseptic.